A United Nations programme that encourages sustainable and green finance in the operation of financial centres globally is setting up its European base in Ireland. The Financial Centres for Sustainability (FC4S) have appointed CEO of Sustainable Nation Ireland, Stephen Nolan, as strategic advisor to the global network. The new unit will coordinate from Dublin a network of pan-European cities committed to the expansion of green and sustainable financial services. That network will develop a common European assessment tool to evaluate climate and sustainability credentials for financial centres. Founded by the UN Environment Programme, the global FC4S network includes London, Frankfurt, Paris, Dublin, Toronto, Hong Kong, Shanghai and Zurich. 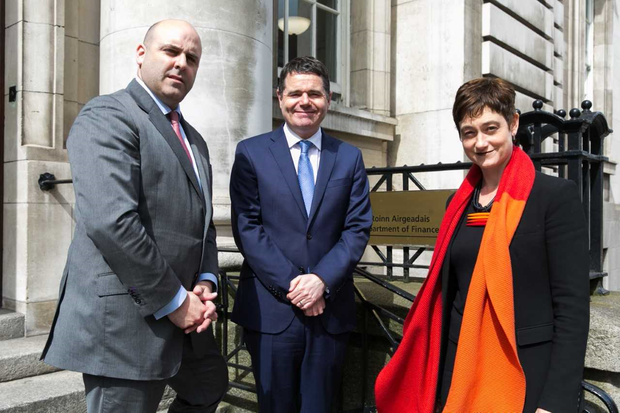 Minister for Finance Paschal Donohoe welcomed the announcement of the new Dublin secretariat, which will be officially launched at the Climate Innovation Summit in Dublin in November. “Mobilising the world’s financial centres is essential to make progress on climate change and sustainable development,” he said. Under the 2015 Paris Climate Agreement, it was agreed upon to limit global temperature increases to 2 degrees or less. Following the US withdrawal, the European Union is taking the lead in implementing the agreement. Stephen Nolan said that choosing Ireland as a base is a “tremendous endorsement of the work being done by us and our partners to build Ireland’s low-carbon economy”.